Let's start by saying that this device is purely a concept, and Mozilla has no intention of producing it. The Mozilla Seabird is a product of the Mozilla Labs Concept Series, which is an open call to share ideas about improving the Internet, Mozilla, and its Firefox browser. 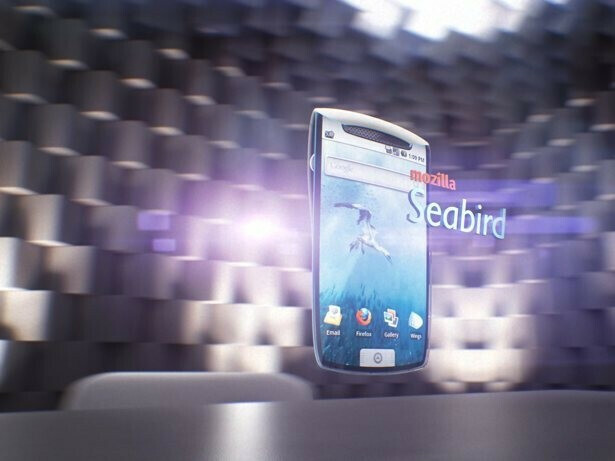 The Seabird is an 'Open Web Concept Phone' by Billy May, that has been refined by community feedback since its 2009 introduction. May describes the project as "an experiment in how users might interact with their mobile content as devices and technology advance." He also points out that while smarphones are nearing the speed of our desktops, "the lagging ability to efficiently input information has grown ever more pronounced." May's concept involves utilizing motion capture and projector-driven innovations to make the user interface more like a desktop (without a clunky Bluetooth keyboard). The device would feature a dongle that could not only serve as a Bluetooth headset but as a navigational wand that could manipulate content in 3D space. 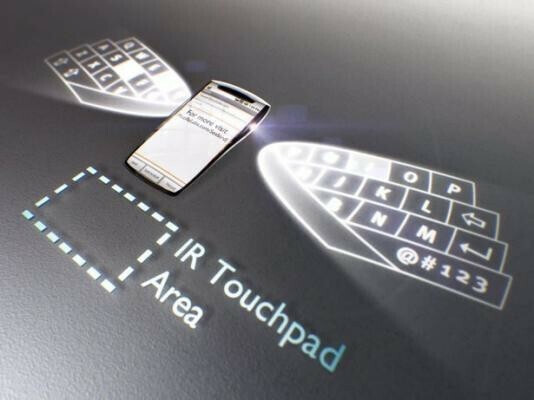 The device would also make use of emerging projector applications, in which the device would project its own display, as well as an infrared keyboard. The curvature of the device would also lend to an elevated display while the Seabird is laid on its back. While we likely won't see anything like this for some time, it's exciting to think of the possibilities. What would you add or change? That's a pretty sweet phone! I love the interface. What I want to know is where they hid the battery. The body is so slim that real life phone would require the whole thinned out section to be expanded to hold at east a 2200mAh battery, or plug it in.